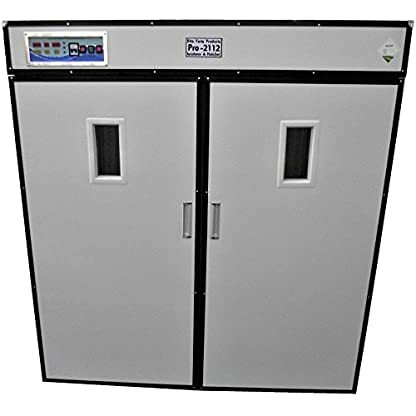 View cart “RITE FARM PRODUCTS PRO-2112 CABINET INCUBATOR & HATCHER 2112 CHICKEN EGG CAPACITY” has been added to your cart. You must email us your phone # so semi truck can schedule delivery!! Most feature packed cabinet incubator and hatcher in 1 unit. (YOU MUST EMAIL US YOUR PHONE NUMBER AS THIS SHIPS BY SEMI) Rite Farm Products Model Pro2112 complete cabinet incubator and hatcher in 1 unit . 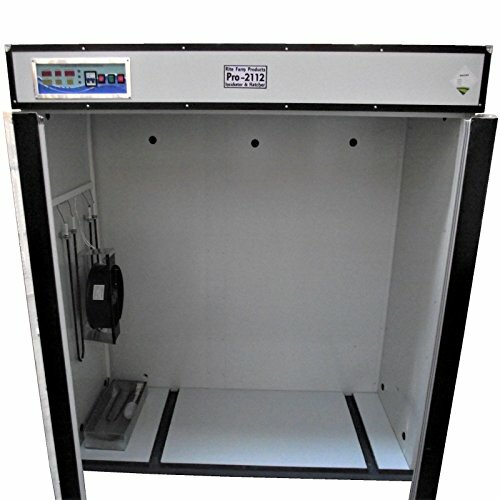 The most advanced, professional & complete cabinet incubator on the market today! -Commercial quality chain drive Egg Turner with on off switch on the control panel (feature not included with other brands) -Built In light with on off switch on the control panel (bulb not included, uses standard bulbs 10 to 60 watts, add bulb to your liking) -Built In sterilizer bulb with on off switch on the control panel (this feature will sterilize your unit after each hatch, feature not included with other brands) -Large See Thru glass window -Free Professional Egg Candler -Circulated Main Air Fan & rear vent exhaust fan -Digital Temperature Display -Digital Humidity Display -Digital Day Counter -Digital Egg Turner counter -Digital display also displays the temp and humidity you have the unit set at -Built in alarm sounds when temperature or humidity is low -Heated Water humidity tray with built in float that can be connected direct to a water line for constant no maintenance full water level. 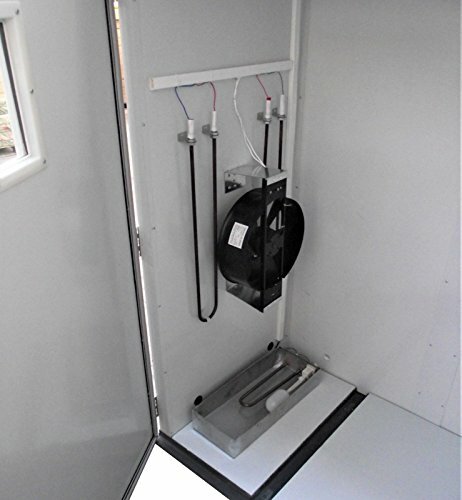 This feature will also avoid having to open incubator to maintain water level -Proper air fan ventilation -Detailed Incubation instructions and learning guide -Commercial quality digital heating and water heating elements -110 volt plug and temperature is displayed in Fahrenheit for North American Customers. (United States, Canada, Mexico) -Includes 24 washable hatcher baskets and 24 washable chicken egg trays (24 level/shelf unit) -Each chicken egg tray holds 88 eggs giving you a chicken egg capacity of 2112 eggs -Additional Baskets, Quail, duck, goose, turkey, & ostrich trays and dividers are sold separately if you are wanting them -Holds 5304 quail eggs, holds 1512 duck, goose, turkey with sold separate trays and dividers -70 inches tall x 68 inches wide x 28 inches deep -1 year parts warranty, we stock all parts. 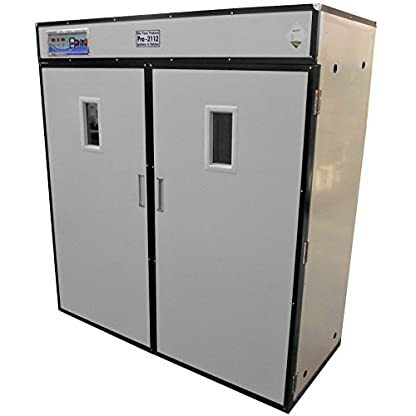 Most affordable quality cabinet incubators on the market.